iklektrik are Belfast duo Ryan Curry and Isaac Gibson. Both came from the opposite ends of the musical spectrum. Ryan has spent the past 5 years DJing at venues throughout Ireland and Ibiza while Isaac is a classically trained pianist with a background in music production. 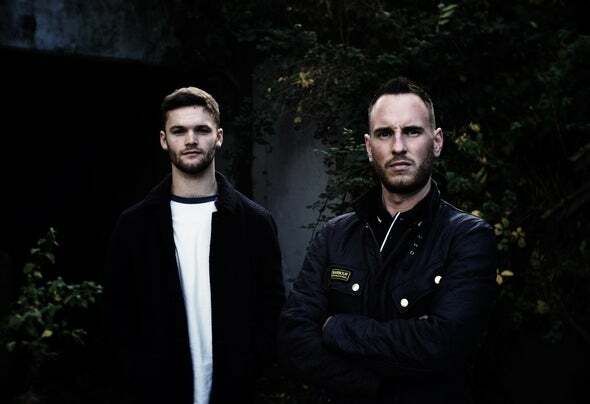 A chance meeting and a mutual love for Techno and House music provided the basis for a musical venture.In the past 12 months iklektrik have spent alot of time in their new studio working on original material and putting their own unique tech house twist on some of the latest and classic dance anthems. The work clearly paid off with Godfather of House 'Marshall Jefferson' inviting them to his Freakin909 label in 2017.Their "uni'k" podcast has already developed a cult following and is recognised for featuring a diverse tracklist of techno & tech house music.On the 22nd October 2016, iklektrik won the 20th Edition of Amsterdam Dance Event's Demolition Panel hosted by Dave Clarke with their House track 'Dusk'. The judging panel included Eats Everything, Marcel Fengler, Kölsch and Don Diablo.